so just like any makeup crazed fan ...The IMATS are a big deal for us !!! so just like the past three years I attended this year.. For those of you who are no aware of what the IMATS are let me explain....it's called "The International Makeup Artist Trade Show " basically it's a huge two day convention that mainly caters to Makeup Professionals who work in the beauty industry . But many who are not Makeup Artist's also attend because you can get some pretty awesome deals on stuff that you would normally buy . You can also checkout so really awesome speakers from the Industry and see some live demo's and get some tips from pros...there is an entrance fee and depending on when you buy and if you are a pro it generally starts at 25$ before a certain time and then it goes up from there. so without further a due .....here are my IMATS photos .. I didn't stay too long because I am currently recovering from a back injury so i'm not able to walk or stand for long periods of time. They were selling sample try me kit's for 15$ The Kit included 6 mini's of their products..
okay so first off I know these guy's have nothing to do with beauty but ... they were giving away these free Square devices .. Basically these lil gizmos are amazing because they allow you to set up billing through your bank account and process payments through your Iphone,Ipad or android ..super neat and awesome for anyone who is a MUA and wants to be able to accept Credit cards from clients. premium product for premium performance. Aiona translates to ‘eternal’ – aiona alive is ‘eternally alive’. Our products are 100% natural; with live collagen. Collagen is an important protein, it aids in skin elasticity, firmness and resilience. ‘Live’ collagen – the basis for our face and body masks – creates a wearable, breathable moisture mask, locking in aiona alives’ active ingredients while protecting the skin from harmful environmental toxins and pollutants. We use live collagen derived from carefully selected, rigorously inspected fresh water Silver Carp. The fish are handled with extreme caution and care so there is no harm to the fish during the extraction process. The triple helix cell structure in the collagen protein closely matches the cell structure of human collagen. When combined with hyaluronic acid, it penetrates into deeper layers of the skin, taking with it the active ingredients of our oils and extracts while stimulating your own natural collagen production. This skin care line fights the causes of, not just the effects of aging for youthful and vibrant looking skin! I couldn't resist these they are a lipstick and lipbalm in one!!! Plus they were on special for only 5$ each ... But what makes these thing really awesome is you pop one side out and you have a lip balm/primer then you pop the other side out and you have your lipstick ..totally awesome and compact. Plus if you run out you can buy the refills off of Belvada's website for only 10$ each. I was sooooooooooo Happy to get this !!! I wanted it last year but the booth was super busy and I had to go to work so I passed on it....well I now own it and I must say I am loving this brush .. it's so very neat how you take the top off and push the brush out all ready to go!! I also loved how it separate and thicken my lashes. I am beyond Impressed Belvada . Thank's Mir!!! you should go to the one in Toronto !! I think you should the one in Toronto is bigger !! You guys get Nars ! They sure were !! And they had accents !! Awesome haul love! Looks like you had a good time. 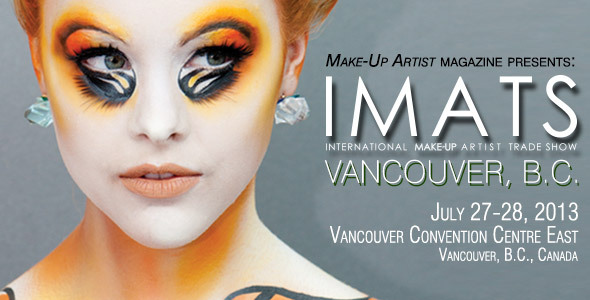 Can't wait for Toronto IMATS!